Young apprentices whose training has helped them launch their own careers have thrown their weight behind a national campaign promoting apprenticeships. Chelsea Wainwright, Lauren Kitching and Billy Barker are just three of Bishop Auckland College’s latest apprenticeship success stories who are now enjoying the benefits of full time work. Chelsea, of Coxhoe, joined Persimmon Homes in 2016 and after completing her Level 3 Apprenticeship in Business Administration she has been promoted to Assistant Buyer at the firm’s Bowburn offices. She is now combining a Level 4 Advanced Apprenticeship with her new role, which sees her purchasing materials for building sites, liaising with suppliers and negotiating prices. Lauren, 20, of Bishop Auckland, secured her job as a Learning Support Assistant at the town’s Bishop Barrington School last September after completing her Level 3 Apprenticeship in Supporting Teaching and Learning. She first had to pass a work trial and interview, after applying for the vacancy via the National Apprenticeship Service website. For Lauren, it meant a return to the school she had attended as a pupil to work in its learning support unit alongside four colleagues. Billy Barker, 23, left Woodham School in 2012 and initially did a toolmaking apprenticeship but left to join the Army in 2015 to train as a mechanical fitter. 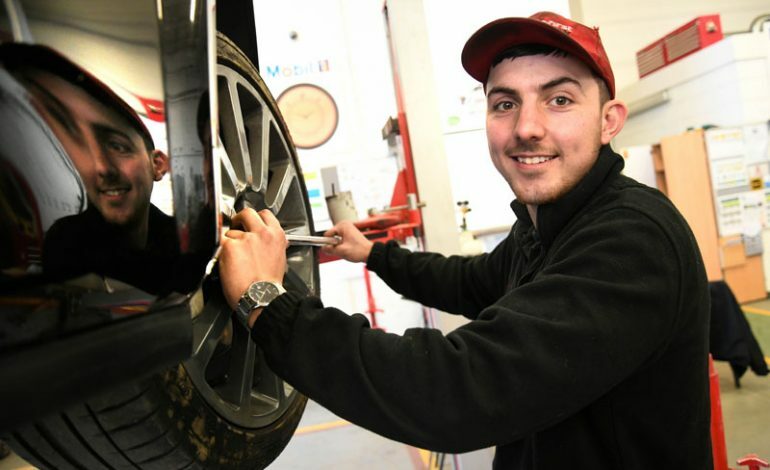 He left the Army in 2017 as it wasn’t as hands-on as he thought it was going to be and enrolled on a motor vehicle maintenance apprenticeship with Bishop Auckland College. Billy was taken on by AG Motorserve in Newton Aycliffe, in January 2018 and is working towards his Level 2 Motor Vehicle qualification. Bishop Auckland College supported Chelsea, Lauren and Billy through their training and is currently advertising vacancies for apprenticeships in engineering, painting and decorating, business administration, beauty therapy, motor vehicle and PE in schools. As part of its support for the 12th National Apprenticeships Week, the college is offering schools in south Durham the opportunity to visit its engineering training facility South West Durham Training and has arranged with employer partner 3M the chance for schools to go on a tour of its manufacturing plant in Newton Aycliffe. Schools can also arrange for one-to-one or group talks on apprenticeships with the college’s apprenticeship team. 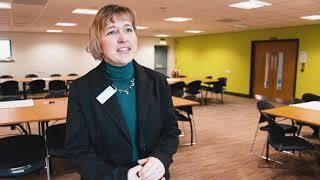 Natalie Davison-Terranova, principal and chief executive, said: “Chelsea, Lauren and Billy are just three of the many apprenticeship success stories we see at Bishop Auckland College and South West Durham Training every year. I am delighted to hear how well they are doing in their chosen careers, having benefited personally from their own apprenticeships. • The college is holding an open evening from 5pm to 7pm on Wednesday April 24 at South West Durham Training in Newton Aycliffe, where advice will be offered on all courses and training including apprenticeships. See swdt.co.uk for details.